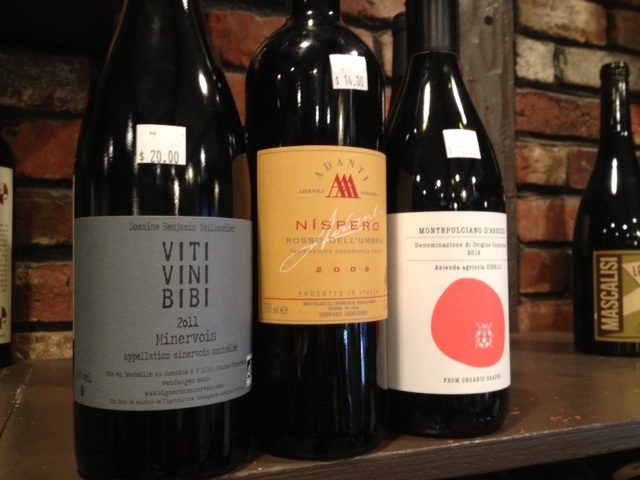 If the Friedman School were a liquor store, it would be The Wine Bottega on Hanover Street in the North End. Visit, and you will feel as if you have stumbled upon the farmers market of wine—a chance to buy “real wine,” produced by small farmers and from wineries with sustainable practices. “We focus on natural wine. No additives. Something that is an honest expression and as minimally manipulated as possible,” said Matt, the store’s main wine importer since friend, Kerri Platt, purchased the store in 2008. Wine Bottega does not purchase wine based on taste alone. They take into account the history of each wine bottle. (Matt recommended one bottle that was named after the producer’s dog. I bought it.) A huge part of the store’s inventory are natural wines, called “orange wines,” termed as a result of orangey color the more natural process creates in a bottle. The little North End shop has a huge personality. Chances are, you are going to find yourself wanting to crack open a bottle and make friends with everyone in the store. If you are a real wine lover you may want to consider signing up for their Wine CSA. Members Can a 3-monthor 6-month share. Each bottle is hand-chosen based on your preferences and includes a full description of how that bottle got from the farm into your glass. Genius. If you just want to try them out, stop by on a Friday night for a free wine tasting from 5pm to 8pm. 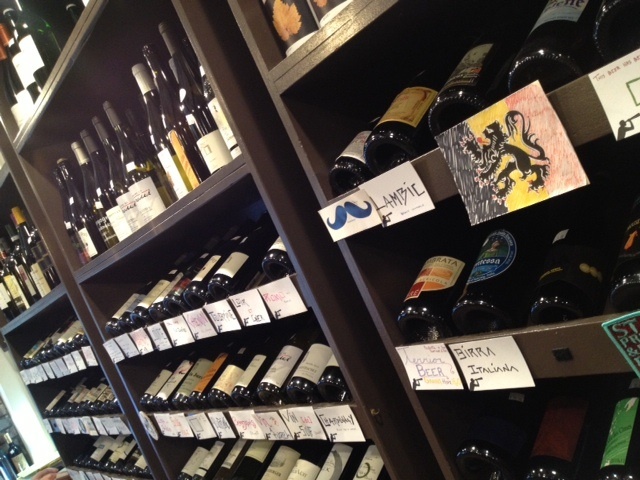 For a real wine purchasing experience and a guaranteed good bottle of wine, Wine Bottega is where it’s at. Keep in mind you are not only buying wine, you are buying a philosophy, a philosophy that resonates with a lot of us here at Friedman. Katie Occhipinti is a second-year NUTCOM and DPD student at Simmons College. To learn more, visit our Meet Our Writers page.